We invite interested members to join our MBA Bowls Club by contacting Barry Heaney (02) 4959 1193. The MBA Bowls Club hold games on a monthly basis. Our Club fees are $25 per annum, and we also have a Christmas Dinner every December. The first James Wall Cup Tournament was played in 1923, and the Newcastle MBA Bowls team attended their first tournament in 1962. Since then the Newcastle MBA bowlers have won the cup on seven occasions. Further to these wins, the MBA has also won the Veteran’s Plaque and the Exchange Shield. Since the MBA’s acceptance in 1962 the club has had three Presidents and five Managers. These people are listed below. The Newcastle MBA Golf Club currently has over 100 active members, so why not consider joining? Whether you’re a budding Tiger Woods or have a triple figure handicap, there is someone in the club that you can enjoy playing a round with. 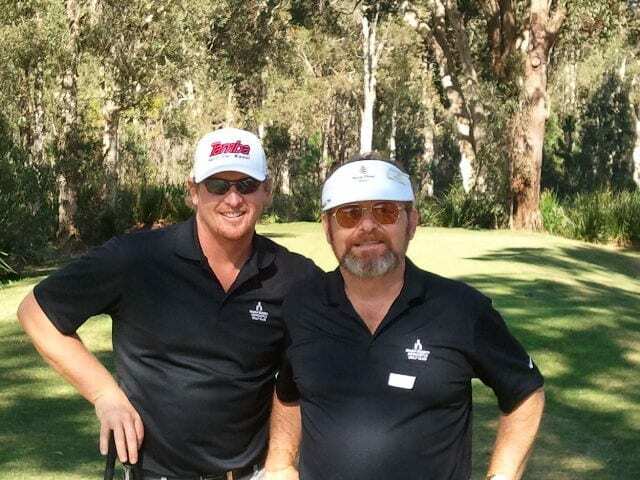 We invite interested members to join our Newcastle MBA Golf Club by contacting Mark Connors 0425 301 100. Match Day sponsors are also invited to network with the largest social building industry golf club in the region and should contact Jon on the above number.